Around 100 A.D., Southwestern Indian kids could be found filling water pots in the nearby stream as part of their tribe’s irrigation system for their food crops. Olla pots are basketball sized and bigger storage pots that were used to hold water and grains. The potter dug his own clay, ground it, shaped it, and fired it in pits. 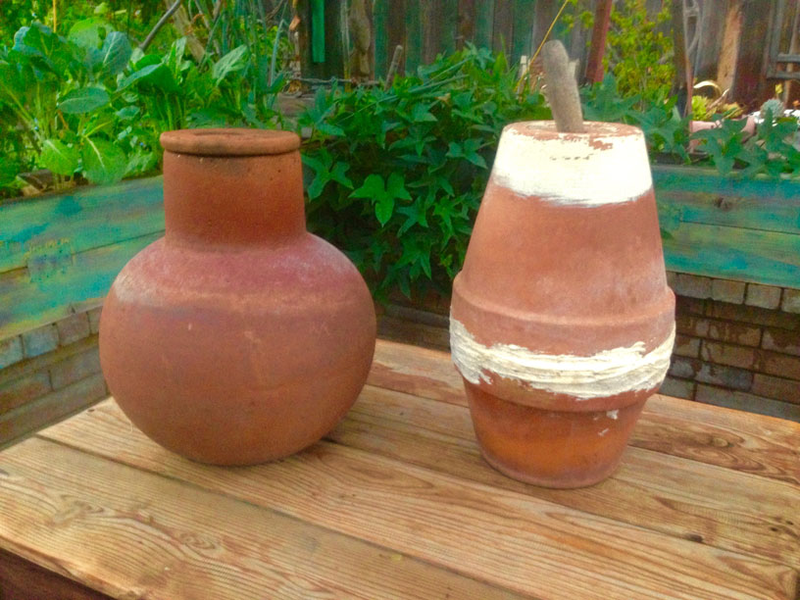 Ollas pots are made with unglazed porous clay that allows water to seep into the soil. Mark’s Olla pots in the picture above show the Olla pot he bought, which cost around $40 and an inexpensive version of the olla pot he made. 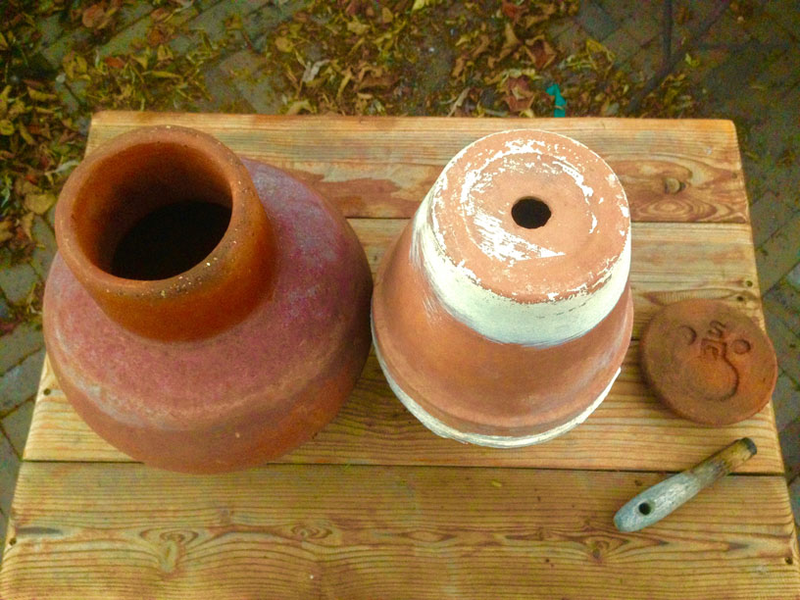 Kids can find old fashioned unglazed porous clay pots and waterproof glue at the garden center. The picture below shows the top of both pots and their lids. Kids can get a clay dish for the bottom clay pot; glue the clay dish to the clay pot; glue the rim of the two pots together; let dry; bury it in the garden; fill it with water; cover the top hole to keep out dirt and leaves. 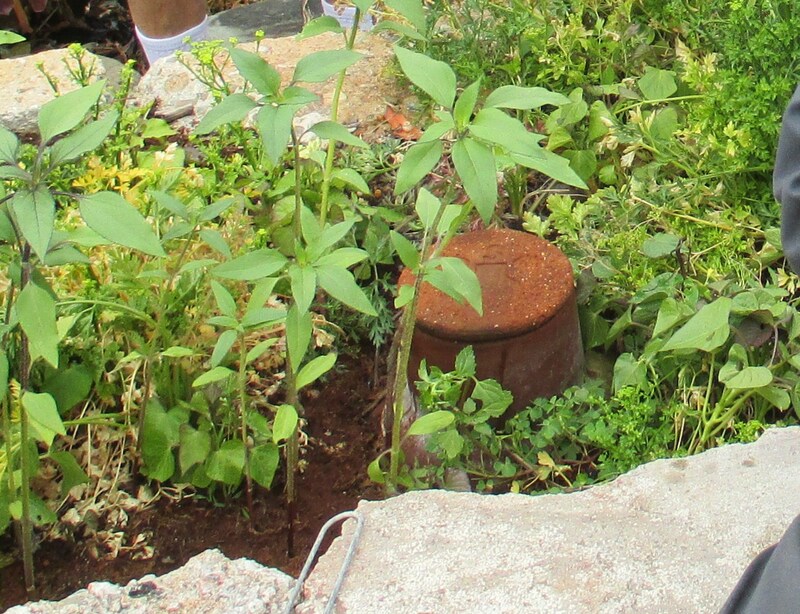 To preserve water in a drought area like the ancient Southwestern Indians, kids can bury their olla pots in an organic raised bed garden where the plant’s roots can absorb the water. 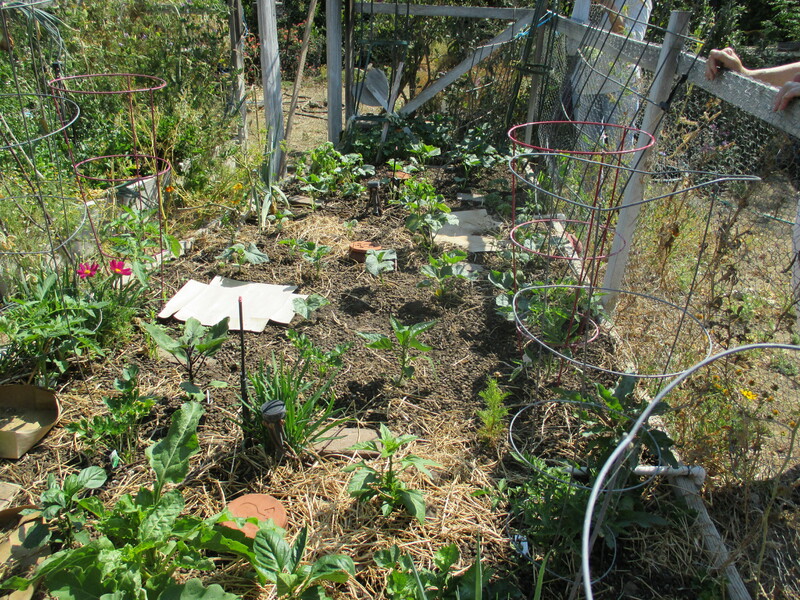 Bury several pots, plant fruit, veggies, and herbs next to the pots, and fill them with water once a week. This system delivers 100% of the water to the roots where it is needed and eliminates evaporation.